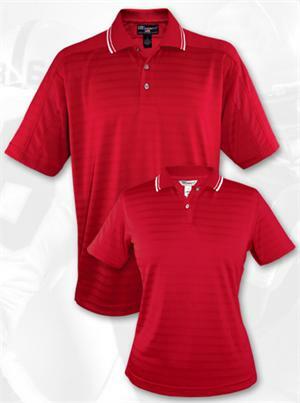 MOISTURE MANAGEMENT - ENGINEER TRACK KNIT You just found you NEW favorite polo shirts! Introducing our 100% micro polyester engineer track knit polo shirt specially treated with hi cool technology. This luxuriously smooth fabric feels like second skin without the tightness. Mesh inserts as color blocks are strategically placed in the sleeve and down the sides for maximum breathability. Tonal horizontal stripes knit in the fabric make this an elegant pieces to add to your collection. 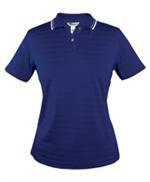 Rib-knit collar with tip trim design, finished with crystal buttons.